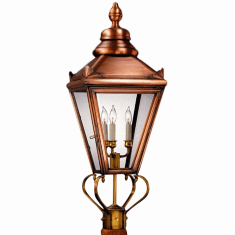 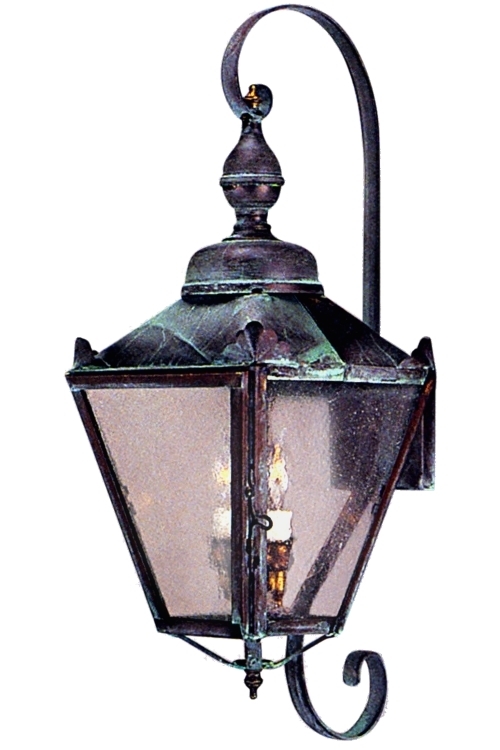 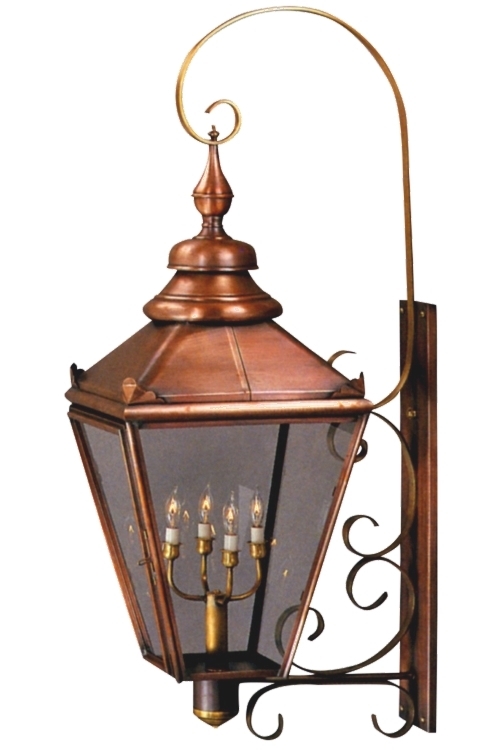 The Hampton Copper Lantern Wall Light with Bracket & Scroll, shown here in our traditional Antique Copper finish with Seedy Glass, is our take on the traditional English street light seen throughout London. 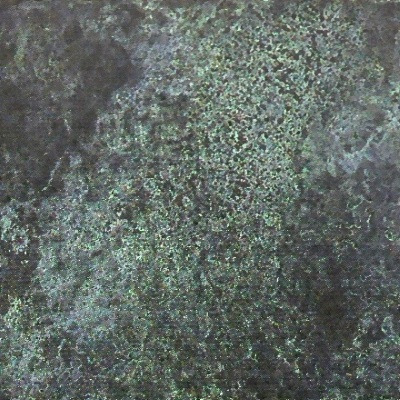 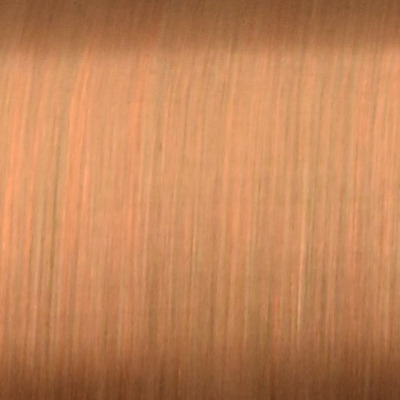 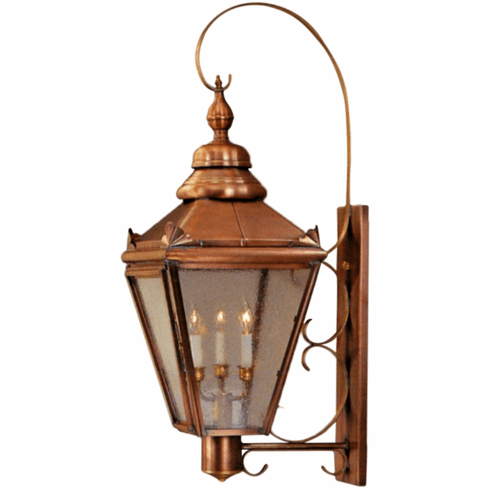 Rich in European detail and handmade in the USA from solid copper and brass for the highest possible quality outdoor lighting. 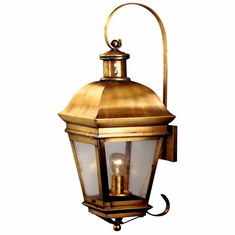 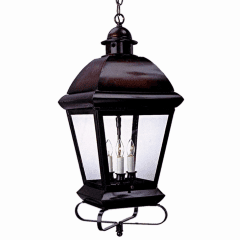 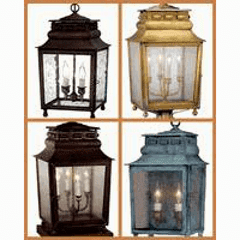 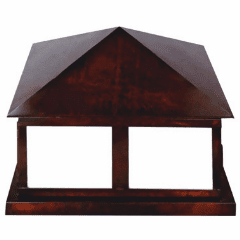 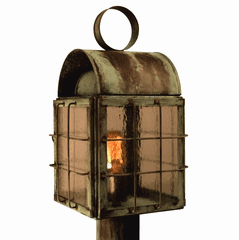 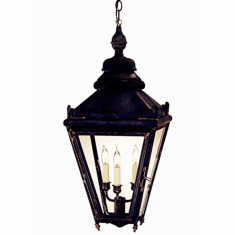 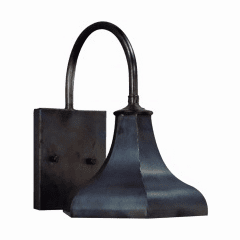 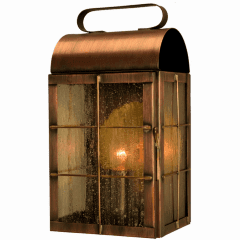 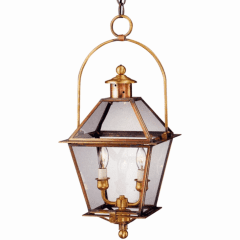 A timeless and enduring style this lantern is ideal for use indoors or outdoors in variety of traditional and Early American style homes including Colonial, Colonial Revival, Dutch Colonial, Greek Revival and Gothic Revival. 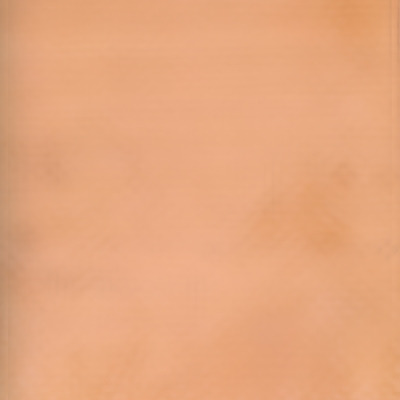 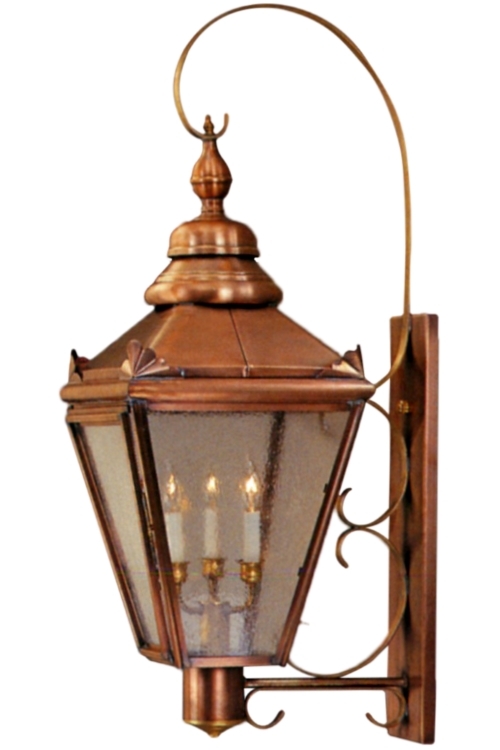 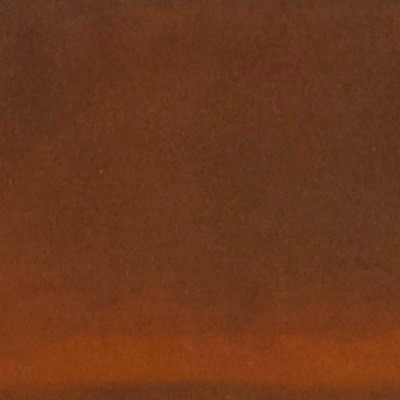 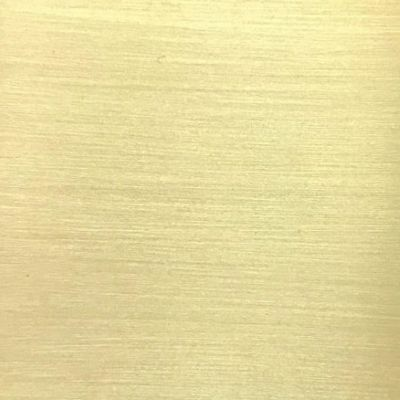 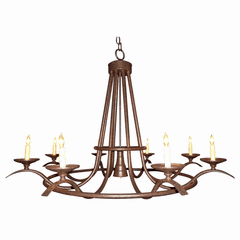 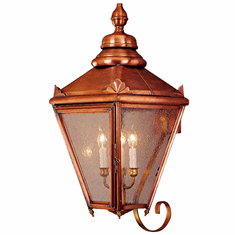 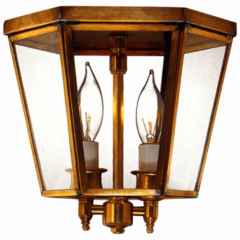 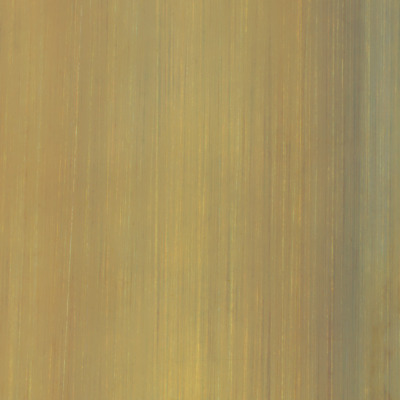 The Hampton Copper Lantern series is also available as wall light, wall light with top scroll, pendant and post light versions in your choice of seven all natural hand applied finishes and four styles of fine glass at no extra charge.